What is the perfect complement to certified organic tea? A spoonful of certified organic honey, of course! We are delighted to offer this organic honey sampler that comes from Bee Seasonal, a US company sourcing organic honey from Brazil. This raw, unfiltered honey is considered wild, which means that bees are gathering nectar from naturally occurring plants, instead of plants introduced by humans. This set of four, 4 oz glass jars of honey is perfect as a gift or as a sampler for yourself. Each honey represents the flavors and textures of a different region and season of Brazil, ranging from peppery to brightly floral, from silky thin to velvety thick. Any honey lover is sure to find a new favorite among this mix and a new accompaniment for sweetened sips of tea! This gift set comes with four, 4 oz glass jars of honey. What Does Organic Beekeeping Mean? 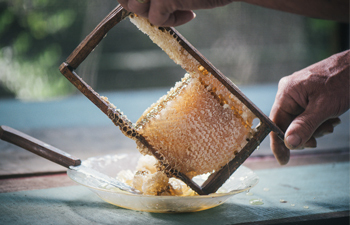 Among many things, organic certified honey means that the honey must be collected from hives that are surrounded by organic certified agriculture, or a native habitat. Hives are allowed to hibernate during the winter, and some of the honey must be left for the bees to eat during the cold months. No synthetic pesticides and antibiotics may be used on the hives, and they must be built from non-synthetic materials such as wood or metal. 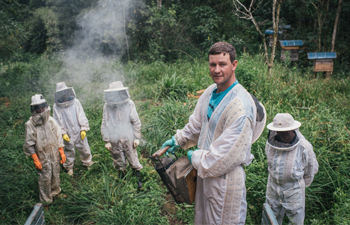 Bee Seasonal is committed to only sourcing honey from organic beekeepers who are devoted to the land, their communities, the bees, and “those who respect and try to understand them.” Bee Seasonal’s bee keepers also provide protection for native habitats and sustainable income for local communities.